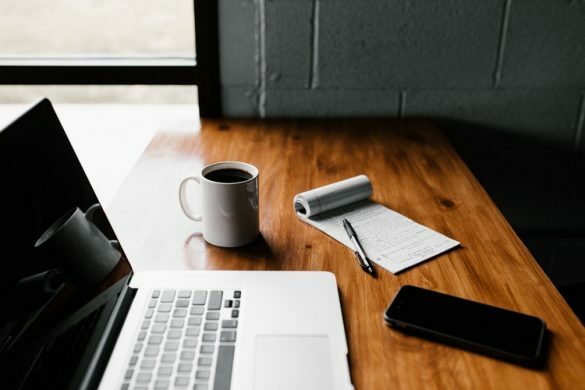 As a content creator, your entire career hinges on your ability to produce original, compelling, and exceptionally detail-oriented blog articles. You’ve likely invested both time and money to improve your ability to do so, including getting a better education, and researching your contemporaries, but most bloggers underestimate the power that simple changes—closer to home—can have on your overall output. Namely, investing in your workspace, and changing it to be more conducive to high-quality content, can open up new possibilities, and help you work more efficiently and productively than ever before. Professionalism and focus. Working from home, or in a distracting environment, can interfere with your ability to focus on your main priorities. Changing your environment can help you concentrate. Comfort and stress. A little stress can be a good thing, but too much will ruin your productivity. Positive workspaces reduce your stress, and help you feel comfortable throughout the workday. Creativity and inspiration. An ideal workspace also affords you creativity and inspiration, giving you diverse perspectives and sources of ideas to use when creating new material. So what specific changes can you make to your workspace to improve your abilities? Keep your workspace separate. If you work from home, create a space that’s distinct from the rest of your house; this will help you separate personal spaces from professional ones, and stay on task. 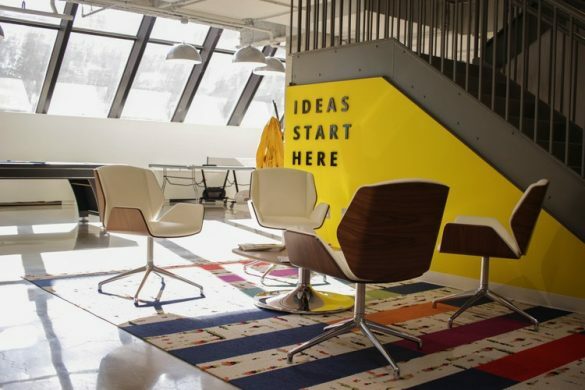 If you work in an office environment, make sure you have a space to call your own, and if possible, give yourself a semi-isolated option (such as a closed office) to work distraction-free when you need to. Invest in high-quality furniture and equipment. Most equipment and furniture upgrades are worth the extra money. For example, ergonomic chairs and equipment can improve your comfort and reduce pain; given that lower back pain costs more than $100 billion annually, it’s worth investing in a better seating option. You’ll also want to invest in better devices and software, so you can maximize your output. Add gentle music. Music is shown to improve productivity, so long as it’s kept at a reasonable volume and reflects the personal tastes of the listener. A gentle stream from your favorite bands can keep you focused, relaxed, and comfortable throughout the workday—with a splash of extra creative stimulation in the mix as well. Add stimulating scents. Similarly, you can improve creativity and performance by utilizing essential oils, distributing scents that help you focus and think more clearly. Just do yourself a favor and avoid cheap or watered-down essential oils; you’ll need high-quality products to see the best results. Give yourself at least one window. If you can, work near a window. The combination of natural light, fresh air, and something interesting to look at can help you get through even the toughest workday. If you don’t have access to a window, consider giving yourself an intellectually stimulating alternative, such as a piece of art or a small aquarium. Tweak the lighting. Take the time to adjust the lighting in your workspace, easing the stress on your eyes. Doing so can improve your concentration and make you feel more comfortable. Minimize. Spend some time reducing the items and clutter in your work environment. For example, you can tie all your equipment cables together and tuck them out of the way, or get rid of old items you no longer need. Get rid of distractions. It takes 25 minutes or longer to recover from a distraction, so get rid of distractions in your workspace at all costs. You’ll need to keep the computer close by, but you can make sure there’s no TV or easy hobby to get to in your surroundings. Find an excuse to get up. Arrange things so you have a good excuse to get up and take a walk throughout the day. For example, you could place the coffee pot down the hall, so you’re motivated to walk to it periodically. Find new workspaces. If you’ve ever felt like you’ve gotten more done at a local café than in your normal office or your home setup, there’s a reason for that. Studies show that the combination of ambient noise, a new setting, and being surrounded by other people concentrating can help you work harder and stay focused on your work. There’s only so much you can do with your own workspace, so try occasionally branching out to someone else’s. These tips should help you work more comfortably, focus better, and ultimately produce better-written content. Given the fact that most of them can be completed in the span of a few minutes and cost very little, there’s no excuse not to give them a try. These tips are simple but super important for every content creator and blogger. It is important to take good care of your workplace. If you are not comfortable in your workplace your focus can be low and your productivity levels can also diminish. I’ve realized the importance of keeping your workplace clean and organized and comfortable already. It does make a difference and you can tell.